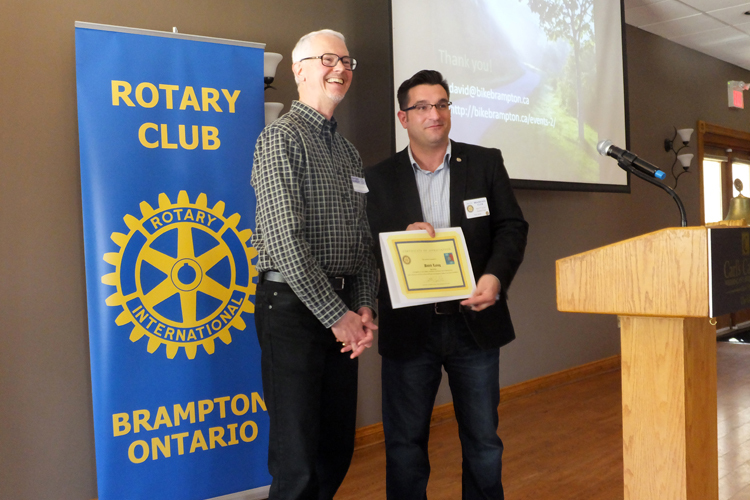 Cycling is our future, was the message of BBAC Chair David Laing when he presented to Rotary Brampton on April 28, 2014. 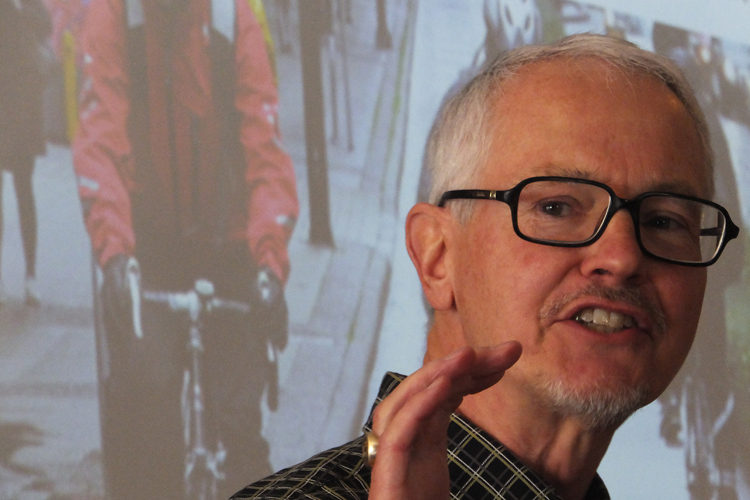 He was well received with a message about how cycling can solve many of the issues we face in Brampton. Cycling infrastructure can lower the traffic demands on the roads, improve our healthy through better air quality, better health, and more support for local businesses.